A term stolen right out of Genesis, the Poisonous Tree doctrine is a legal theory created by the U.S. Supreme Court in response to police abuses years ago. In general, if the police break the rules badly enough, they should not get to benefit from their own Constitutional violations. At The Law Offices of Todd K. Mohink, P.A., it’s always our goal to help defendants put the criminal charges in perspective and find workable strategies for reducing or even eliminating them altogether. Call us today if you need help with charges pending against you in Baltimore, Howard or Anne Arundel Counties of Maryland. Why is the Poisonous Tree Doctrine Needed? Imagine a world where the police could kick in your door, search for evidence of a crime for no reason, find nothing, then leave. They just go house by house kicking in doors until eventually, by a stroke of luck and sheer statistical probability, they discover evidence of someone committing a crime. They arrest the person and continue kicking in doors down the street until they find more drugs or whatever they are looking for. In this type of dystopian, almost Gestapo-like scenario, no American could ever feel safe or secure in their homes. In 1920, the U.S. Supreme Court decided the case, Silverthorne Lumber Co. v. U.S., in which the concept was discussed. 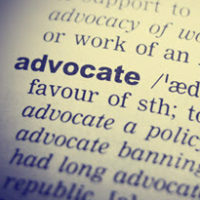 The actual term first appears in American case decisions 19 years later when used by Justice Felix Frankfurter, an Austrian-born U.S. Supreme Court justice. Given the harm sought to be avoided, it’s perhaps not surprising that an Austrian-born person at that time in history may seek to avoid such dictatorial government intrusions. If It Catches the Bad Guys, What’s the Harm? The general idea is that when the police break the rules by violating the privacy rights of citizens, they should not, in turn, be allowed to use their bad conduct to convict someone. To do so opens the door to widespread abuses. Think of it a different way – which is the greater harm to be avoided by the Constitution, the chance that a handful of wrongdoers will escape justice or the risk that the government will get a free pass to violate basic civil rights with impunity? In short, the ends cannot justify the means or our country’s foundation is lost. Though a bit of a philosophical construct, it’s very applicable in ordinary cases. If a police officer pulls an African-American mane over in a white neighborhood for “looking suspicious,” then searches the man’s vehicle without any probable cause or evidence of wrongdoing, it’s wrong. But if the officer discovers drugs or an illegal weapon, that evidence could potentially be excluded on the basis of this doctrine. After all, for every unlawful search that somehow turns up evidence of a crime, thousands of illegal searches serve no other purpose but to harass and intimidate innocent people. Therefore, a skilled criminal defense lawyer from the Law Offices of Todd K. Mohink, P.A. may be able to help you apply this doctrine in limited circumstances to avoid a conviction.